Here’s what you should know about getting partial dentures from our Elkhorn office. Are you an adult who is missing several teeth? If so, you may be wondering what the best option is for getting a full smile back. Luckily, your dentist in Elkhorn, WI, Dr. Ronald Hull, has helped restore the smiles of many patients’ after tooth loss. If you are looking for a fast, simple, and inexpensive solution to replacing your missing teeth, then partial dentures may be the answer that you’ve been looking for! A partial denture is an often removable oral appliance that is designed to restore your smile with artificial replacement teeth. Partial dentures are made up of metal and acrylic, materials that create both a strong dental foundation as well as a beautiful appearance. If the partial dentures are a removable model, then the prosthetic will contain clasps or attachments that will be secured to natural teeth to hold the replacement teeth in place. Fixed partial dentures, also known as dental bridges, require the support of natural teeth. To create this support, the dental crowns are cemented over natural teeth to support the false tooth in the middle. Who should consider partial dentures? If you are someone who is missing one or more teeth, then you could be a good candidate for partial dentures. During a consultation at our Elkhorn office, your mouth will be examined to make sure that you are a good candidate for partial dentures. 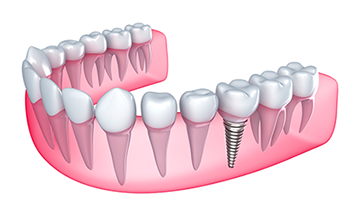 This type of tooth replacement is a good option for someone who is looking to replace their teeth quickly without resorting to surgery. Partial dentures are also cost-effective, making them a great option for anyone who needs to replace missing teeth but is on a tight budget. Of course, our practice will work with you to make sure that you are able to afford any dental treatment you need in order to maintain a strong, healthy smile. Don’t let tooth loss affect your smile when the dental team here at Gentle Dental Care in Elkhorn, WI, can help you out! Call us today at (262) 723-2911 to find out whether dentures are right for you! Keeping up with your oral health is an important part of maintaining your overall wellness and can help you prevent the main causes of tooth loss such as tooth decay and gum disease. Preventative dental care is crucial to your oral health and allows you to work with your dentist to ensure the health of your smile. Find out more about preventative dental care and what happens at an initial oral examination with Dr. Ronald Hull at Gentle Dental in Elkhorn, WI. Preventative dental care includes regular visits with your dentist to visually inspect the teeth and oral tissues. Your dentist may also suggest taking x-rays of your teeth to further investigate their health and ensure that there is no hidden decay not visible to the naked eye. You will also receive a professional dental cleaning, which removes plaque and tartar from the teeth. The American Dental Association suggests seeing your dentist at least twice a year for routine exams and cleanings. 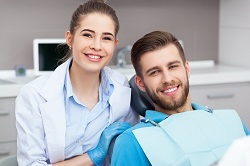 These regular visits take only about an hour and can save you the time, effort, and money associated with the treatment of issues like a cavity or gum disease. What happens during an initial oral examination? Your initial oral examination with Gentle Dental will include several steps. First, you will undergo a visual examination of the teeth, mouth, and oral tissues. 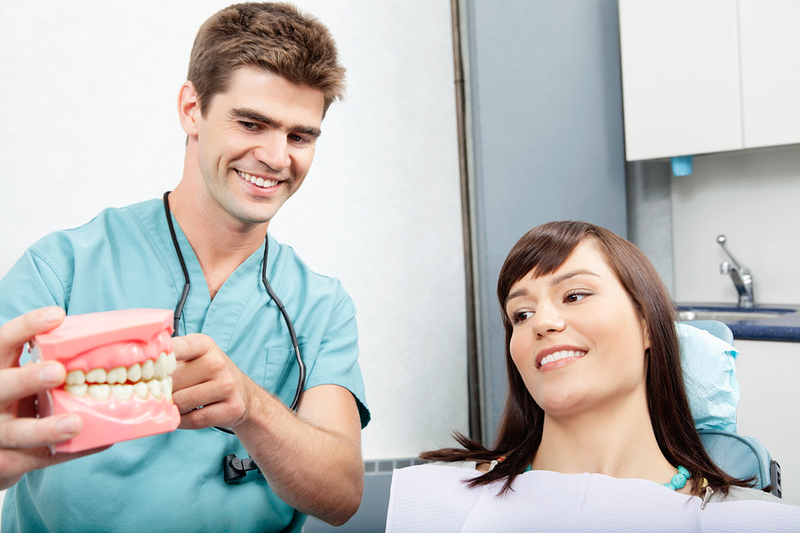 Then, your dentist will chart and diagnose any issues or abnormalities. X-rays, including a panoramic x-ray, help Dr. 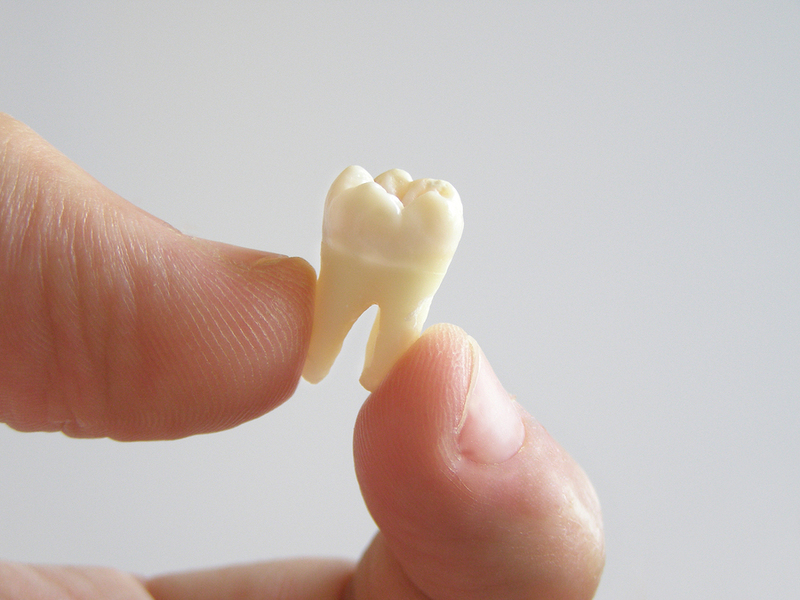 Hull see inside your teeth to their core, ensuring there is no decay hidden away inside the tooth. Together, these elements which make up your initial oral examination set a solid foundation for your future preventative dental care. For more information on initial oral examinations, please contact Dr. Ronald Hull at Gentle Dental in Elkhorn, WI. Call (262) 723-2911 to schedule your appointment with Dr. Hull today! Whether you are an existing patient or searching for a dentist in the Elkhorn, WI area, we’re excited you are here. With the dental industry advancing, we recognize the importance of keeping our patients and visitors up to date with all of the new and exciting things taking place in our practice. As always, feel free to contact our Gentle Dental Care office with any dental questions or concerns.